Well, have you ever heard of an Indian wedding where the food hasn’t been discussed or mulled over like a LOT? Yeah, us neither! Food is to Indian weddings what Virat Kohli is to the Indian cricket team – indispensible. Starters, main course, desserts – we love them all! Today, we have the ultimate list of catering services in Delhi to help you choose one for your big day. 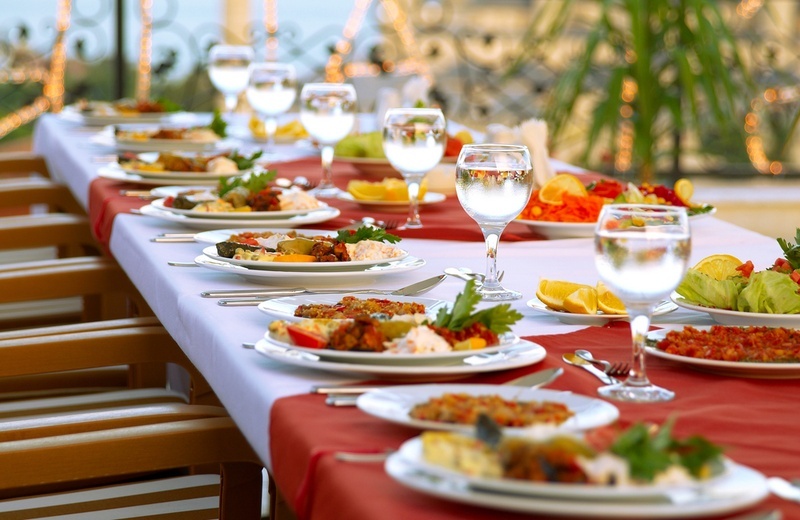 When the wedding menu is so important, how could we not tell you about the most amazing caterers in Delhi who can make your wedding day more memorable with a grand feast? These are some of the best wedding caterers in Delhi and are sure to impress you with their culinary skills. A venture of the Lite Bite Foods, Savour is an expert in the catering industry and is surely one of the best wedding caterers in Delhi today. The group operates famous restaurants like Punjab Grill, Asia Seven, The Artful Baker, Zambar and more. They have also won several food awards and are known for specializing in so many cuisines. So while you enjoy your day with your loved ones, Savour and its team of professionals will ensure that you and your guests experience food like never before! Having won awards for its traditional and themed based events, Dua Caterers is today hailed as one of the very best in town. Their team of experts has innovative solutions to all your needs and can customize the menu to complement your event. They can also incorporate unique elements into the food and make it truly exceptional. Having been in the industry for seven decades, Kwality Catering is one of the most well known wedding caterers in Delhi. Over the years they have upheld the traditional ideas while incorporating contemporary elements into it. They operate in Goa, Mumbai, Delhi and London and have been associated with big names like Common Wealth Games, Formula 1 and others. If you want to take your wedding feast to the next level, this is surely one to consider. If you want your wedding feast to resemble a piece of art, Kitchen Kraft Catering Co is your go-to caterer in Delhi. They have years of experience under their belt and can whip up both simple treats and elaborate feasts. The efficient team can present a range of mouth watering delicacies and make your wedding food an affair to remember. When we said we would give you the best wedding caterers in Delhi, we meant it. Fork ‘N’ Spoon is much sought after in the city and presents a delectable feast for you and your guests. They can whip up an array of delicacies and impress different audiences with their expertise in different cuisines.